New Series: What if I Won the Lottery? I'd like to start a new series of post. All of theses would be based on winning a large sum of cash and what I would do with it. I'm going to try something different than pay some bills, buy a new car, and get a new house. I think everyone would do that, but what happens when you get past the 10 million dollar mark? or 50 million? or 100 million? That's what I'm going to do here. 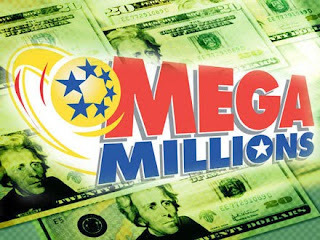 My road map for spending the mega millions of dollars I would surely win, if I started playing the lottery. I do have some rules. One, I'll assume the government will take half in taxes. Two, I'm going to start small and work my way up to the megabucks. Three, I'm going to try and spend it all and not just stick it in a bank. I can invest it however. Four, I going to try to do a reasonable job of researching my purchases. Five, the list is progressive. If I buy one thing in a post the next post assumes I buy the same thing plus something. For example, If I were to win $10, I would buy: A Mocha latte $3.50, Banana-Nut muffin $1.50, One Comic Book $4.00, and a bagel $1.00. If I were to win $20, I'd buy everything I would have bought with the ten dollars, plus a manga book ($11.00) and skip the bagel (-$1.00). I will not bore you with number less than a million dollars, because we can just assume I blow it on fast cars, older whiskey, lap dances, and detoxing bills. Look for this starting in January.